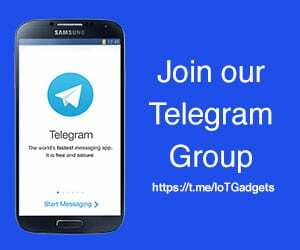 The Samsung Unpacked 2019 Event is literally around the corner now – February 20th. As we draw closer to these type of events, we “usually” get a leak or two of the soon to be unveiled tech. 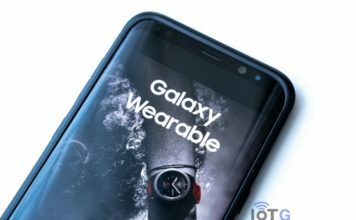 We know the Samsung Galaxy S10 will be unveiled, but it looks like we will also see the Galaxy Fit and the Galaxy Watch Active. Now, some renders have appeared online claiming to be official, courtesy of TigerMobiles. These are the second renders to make their way into the wild, the first ones being uploaded by 91Mobiles. What we can see from these new renders is that the Galaxy Watch Active will be available in three new colour variants: black, teal blue and pink gold. 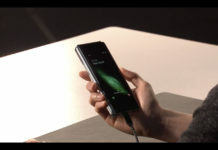 The devices was codenamed ‘Pulse’ when it was spotted on the certification websites earlier this year. At that point, we were hoping for an ECG feature, to rival Apple, but that didn’t quite pan out. Upon investigating these renders it appears that there is no rotating bezel. This seems a bit strange as Samsung’s whole UI revolves (sorry for the pun) around this mechanism. It is certainly something that differentiates itself from the competition. If Samsung have removed the bezel, then this brings us to the question of why have they? And will consumers warm to this change of design. We still have the usually two hardware buttons – One for back and one for home. They appear smaller than the ones found on the Galaxy Watch for sure. Will these buttons be equiped with further functionality through the UI? 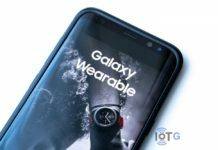 One thing that will set this smartwatch apart from the rest of Samsungs wearable offerings is that it will have Bixby built in. We should see Bixby coming to the Galaxy Watch and Gear S3 soon, that’s a given. Gear S2 and other devices most likely won’t. Sorry. 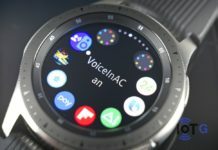 We know the Galaxy Watch will run the Tizen OS and support WiFi, Bluetooth, and NFC for mobile payments. Sorry, still no return of MST that can be found on the Gear S3. Is this enough to keep consumers backing Samsung or will they seccumb to the lure of Apple Watch Series 4? Time will certainly tell.